Most businesses handling flammable material will have completed their hazardous area classification and established their zones (ATEX 1999/92/EC / DSEAR). These zones dictate the level of protection required on all the equipment used in those areas, including the forklifts. Most of the time, standard forklifts are converted so that they are safe and comply with ATEX 2014/34/EU, a process that takes several weeks. This is because a spark from unprotected electrical equipment, excess heat from the engine, motors, brakes and other components, or even a spark from static build up on the equipment can create enough energy to cause ignition. Counterbalance forklifts, VNA, order pickers, reach trucks and other warehouse equipment are widely used, with access platforms, cranes and military equipment also common. Companies like Pyroban re-house components and integrate safety systems to prevent the equipment being an ignition source. However, an explosion proof conversion only ensures safety in a potentially explosive atmosphere at first use. What happens at a chemical or pharmaceutical factory after the drivers get the keys? Who is responsible for continued safety, the forklift supplier or the end user? Like all materials handling equipment, drivers should be trained on the specific equipment they are using and should complete daily checks according to the equipment handbook. This is particularly important on an explosion protected truck. It is also the company’s responsibility to ensure their staff are trained with regards to working in hazardous areas. Some applications can be particularly tough environments for a lift truck, such as waste treatment plants or in intense food supply chain operations. To counteract the risks posed by inevitable wear and tear, a system of preventative maintenance should be put in place to ensure equipment continues to be safe, and is regularly serviced by an engineer trained to work on the specific explosion proof system. All maintenance, whether planned or unplanned, requires specialist knowledge and a full understanding of explosion protection. Work on a Pyroban system, for example, should always be done by a Pyroban trained engineer and serviced in accordance with the handbook. Engineers should also retrain every two years to keep their expertise up to date and minimise safety risks when working on site. Companies are often working under time pressures and in the event of a problem with a truck, might be tempted to try a quick fix with any available engineer. This can be very dangerous as even small changes by an untrained engineer can compromise the whole safety system, and in turn the safety of the whole site. Not checking the credentials of a service engineer, or not servicing adapted equipment adequately can pose a serious threat to safety. 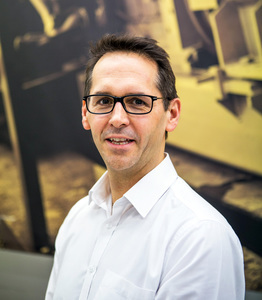 Companies that do not use qualified engineers to conduct safety checks are also risking their reputation and could face serious legal implications in the event of an incident. 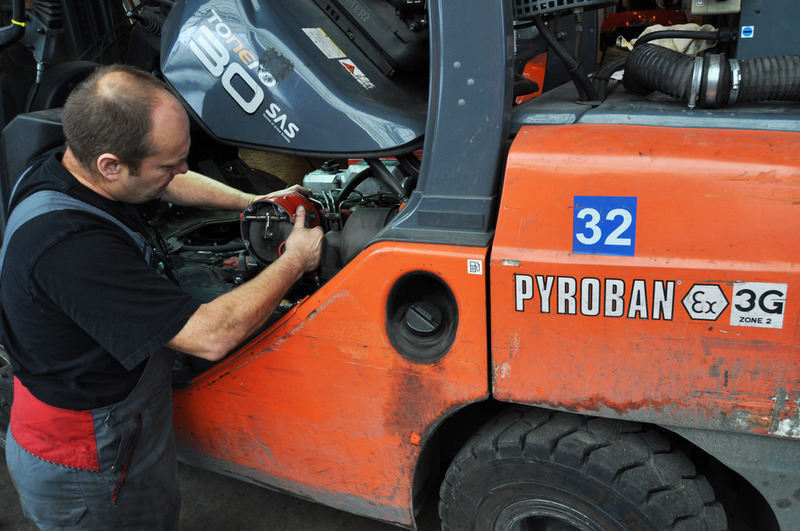 In the UK, legislation dictates that all forklift trucks must undergo a Thorough Examination and lift trucks that are fitted with explosion protection may also be legally required to undergo an Annual Safety Audit. For example, all Pyroban maintenance routines are built on a framework from EN60079-17 which states that an inspection routine should be introduced to ensure the continued safe operation of equipment. It is also a legal requirement for businesses to “demonstrate that work equipment is designed and maintained with due regard for safety” in accordance with ATEX 1999/92/EC. For example, if a truck was used intensively for several years with no inspection it could become faulty, and, in the eyes of the law, the employer could be failing to fulfil his duty of care. The Ex-ASA (Ex Annual Safety Audit), as offered by Pyroban, ensures that the integrity and safety of the original EX conversion on the materials handling equipment is not compromised during its working lifetime. The inspection is carried out onsite by a specialist engineer and works in unison with the service support offered by forklift truck suppliers. All safety critical components of the explosion protection system are inspected and recorded, including Exd enclosures, cables and glands, shutdown devices, conductivity and fork cladding. If no irregularities are found, the truck is declared safe for use and a certificate is issued to support the Explosion Protection Document (EPD). Irregularities need to be repaired immediately, followed by re-inspection.